One of the most popular and highly recognized stand-up comedians on the road today, DL Hughley is coming to Harrah’s Resort in AC May 31st! 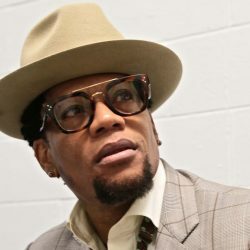 DL can currently be heard nationwide as host of his own afternoon radio show “The DL Hughley Show” which is nationally syndicated in over 60 cities across the country including the #1 radio market – New York. DL is currently touring as part of the Comedy Get Down Tour, which features DL along with Cedric the Entertainer, George Lopez, and Eddie Griffin. The tour was turned into docu-reality series, currently airing on BET. Purchase tickets NOW at ticketmaster.com or ENTER below for a chance to WIN with WTTH!